PRWeek's Diana Bradley looks into how New York's newest museum became a must-visit destination. NEW YORK: Before New York’s Museum of Ice Cream even opened, tickets sold out. The idea of a museum completely focused on ice cream is what has been drawing such large crowds, said Maryellis Bunn, one of the museum's cofounders. 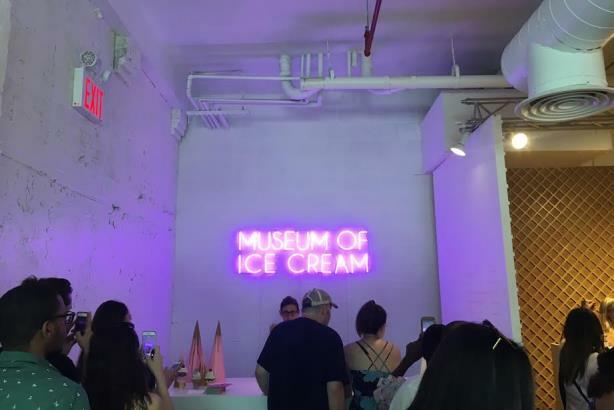 "The Museum of Ice Cream was built for social media, however the event sold out weeks before we opened or the public had a single image of the space to share," said Bunn. "The success is result of the idea. Social now serves to foster further engagement and reach." Fred Schonenberg, founder of VentureFuel, the firm behind the exhibit’s brand partnerships, claims that halfway through the museum’s one-month stint in the city’s Meatpacking District, it’s harder to get into than the hit Broadway musical Hamilton. To date, 35,000 tickets have been sold, and there is a 100,000-person wait list. The museum is planning to release more tickets to the public, Schonenberg said. "The biggest challenge is not being able to tend to demand," said Bunn. "It's a bittersweet challenge to have." Face-value tickets for the museum are $18, but one Instagram user said she saw someone sell two tickets for $400. Upon entering the museum, the shareability of each room is instantly obvious. Each area makes for a killer photo background, perfect for sharing images on platforms such as Instagram and Snapchat. Museum-goers have their iPhones at the ready, some striking poses with ice-cream-cone light bulbs or taking selfies in the pool of sprinkles (which are made of plastic), against walls of bright paintings of ice cream, or in the immersion room, where the walls appear to be dripping with chocolate. "The outward comms strategy behind this has been very fun and organic, with everyone pushing this out on social media, [such as] Snapchat and Instagram," said Schonenberg. "We’ve had Snapchatters come to the museum like crazy. It is being shared all over the place." The museum is handling all PR, marketing, and social media in-house. "We focus on social strategy, as opposed to PR or marketing strategy. We seek to inspire, connect, and educate," said Bunn. "All of our content gives historical and intellectual content, along with promoting the partnerships." Bunn noted that the team has no media relations strategy in place and has not approached social media influencers. "All of the buzz has come to us, as opposed to us going to [media outlets]," she said, adding that the museum has spent nothing on advertising or media. "Interest has been 100% organic." Major outlets such as The New York Times, The Wall Street Journal, Fortune, Time Out New York, The Verge, Today, and BuzzFeed have covered the exhibit. Celebrities such as Seth Rogen and Marnie the Dog have also shown up. People of all ages are welcome to the museum, but its main target is New York’s "it" crowd, said Schonenberg. "The museum is for people who are passionate about ice cream, art, and interesting experiences," he added. "To see that it has gotten such wide spread attention has been very interesting." Bunn notes that the museum was created to "bridge on- and off-line interaction." "Ice cream is our passion, and with the convergence of art and technology, we hope to share that passion," she said. The museum, which is scheduled to be open through the end of the month but could extend its residency due to consumer demand, did not disclose its marketing budget. Schonenberg, who described the museum as "Andy Warhol meets Willy Wonka," said his firm partnered it with Tinder and Fox. Planning started in March. 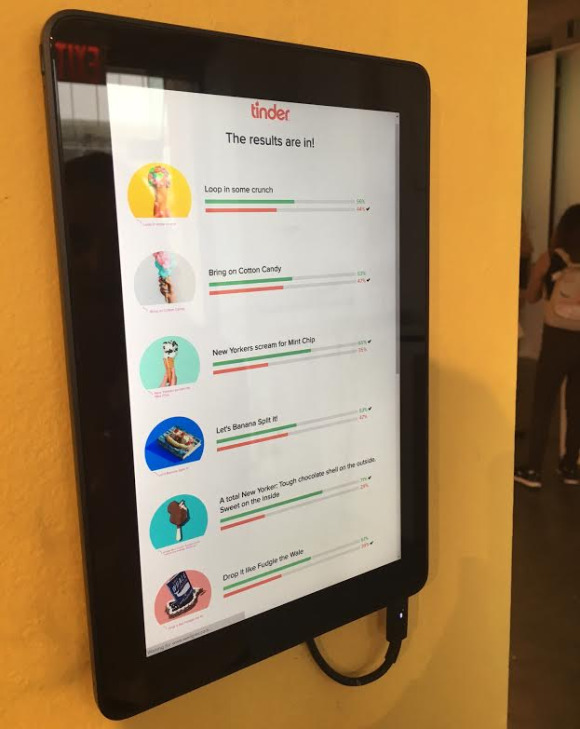 "We knew Tinder is hitting a moment in its growth where it is about making meaningful connections and trying to build actual relationships, so we started to brainstorm with the brand and museum to see if we could create a fun, playful place of happiness and nostalgia," he said. "One of the rooms is like an ice cream playground with a giant ice cream scooper seesaw and an ice cream sandwich swing. The color palate is all in Tinder’s colors, but the branding is subtle." Visitors can take ice cream-related polls, swiping to "find their ice-cream match," at touch screens throughout the museum. Yet rather than being a brand intrusion, the museum’s Tinder touches are meant to enhance the visitors’ experience, said Schonenberg. "At its core, Tinder brings people together, and ice cream often does the same thing," Rosette Pambakian, Tinder’s VP of communications and branding, said via email. "We think the Museum of Ice Cream is the perfect place for a Tinder date." Schonenberg also wanted to bring an entertainment brand into the fold because of fortuitous timing, with August coming just before many fall TV premiers. Fox came onboard to promote its upcoming show Son of Zorn, a sitcom featuring a mix of live-action and animated characters. The lead character, voiced by Jason Sudeikis, is a single dad. "The idea was, what if Zorn was trying to meet girls, using Tinder to do so, and he wants his first date to be at the Museum of Ice Cream?" said Schonenberg. "So we created a Zorn profile on Tinder. If you swipe that you like him, it asks you to meet him at the museum for your first date." 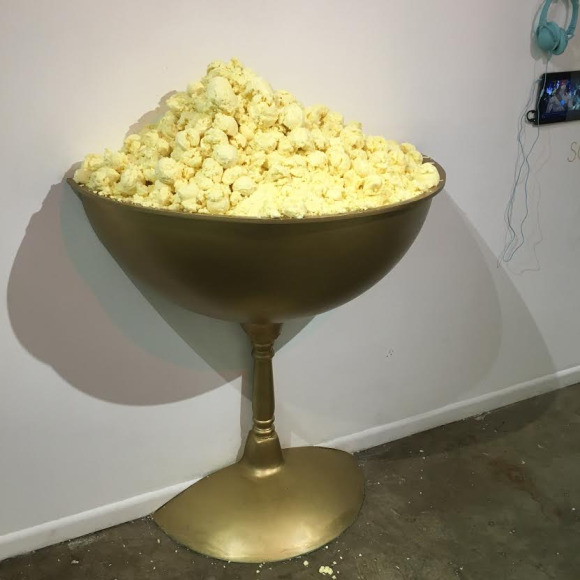 One room has a giant chalice, which is supposed to be Zorn’s, into which visitors are encouraged to place a scoop of ice cream. "The museum is trying to build the world’s biggest ice cream sundae, so it’s this interactive, artsy type of thing," he said. "We also have a couple of screens with headphones where you can watch a preview to the show." Bunn explained that the museum wants to engage consumers on-site via brand ambassadors throughout the museum, such as Blue Marble with Kellog's, Black Tap, McConnell's Fine Ice Creams with Maman, and Chinatown Ice Cream Factory. "Brands need to think about how they can help consumers enjoy their life more and play more; it’s about taking that longer term strategy, rather than buying programmatic ads," said Schonenberg.